Here's my summary of significant past events for this week. And what a week it was! A department store was bombed, an embassy reception was invaded and hundreds of diplomatic party-goers taken hostage, a U.S. Army General was kidnapped, multiple suicide bombers attacked a Sri Lankan Presidential campaign event, a Philippine terrorist leader and a Spanish Prime Minister were killed, Pan Am Flight 103 was downed by a bomb smuggled aboard in a suitcase, Carlos "the Jackal" kidnapped eleven oil ministers at an OPEC meeting, HAMAS bombed an Israeli restaurant, and the "Shoe Bomber" tried to bring down a transatlantic airliner with his explosive foot gear. With all that going on, I feel unworthy to pick out a single item to highlight. A quiet day. The calm before the storm. 1996 (Peru) – MRTA rebels seized the residence of the Japanese ambassador during a reception in honor of Emperor Akihito's 63rd birthday, taking 700 dignitaries hostage and beginning a highly publicized stand-off that lasted 126 days. Among the hostages were foreign diplomats, including the Ambassador from Canada [the U.S. Ambassador had departed the reception just minutes before the attack], a Supreme Court Justice, Congressmen and Ministers, and high officials of Peru's military and security forces, including Máximo Rivera, the chief of Peru's anti-terrorist police (DINCOTE) and former chief Carlos Domínguez. The 24 Japanese hostages included Peruvian President Fujimori's own mother and younger brother. Over the next few weeks, the MRTA released all the women and all but 72 of the male hostages. The remaining hostages were freed on April 22nd, 1997, in a raid by Peruvian Armed Forces during which one hostage, two commandos, and all 14 of the MRTA militants died. MRTA (the Túpac Amaru Revolutionary Movement or Movimiento Revolucionario Túpac Amaru) was a communist guerrilla movement active in Peru from 1984 to 1997. It took its name in homage to an 18th-century rebel leader who was himself named after his ancestor Tupac Amaru, the last indigenous leader of the Inca people. At the height of its strength, MRTA had about one hundred active members. 1981 (Italy) - James Lee Dozier, a U.S. Army Brigadier General serving as deputy Chief of Staff at NATO's Southern European land forces headquarters at Verona, Itay, was kidnapped by the leftist Italian Red Brigades. The attackers entered his residence using a ruse, taking Dozier and leaving his wife bound in their apartment. The Red Brigades held Dozier for 42 days until, on January 28, 1982, an Italian Police anti-terrorist team successfully rescued him from an apartment in Padua and arrested his kidnappers. The captured kidnappers subsequently informed on other members of the group and, in early 1983, 53 members of the group were brought to trial for the murder of former Prime Minister Aldo Moro and 16 others. The Red Brigade was created in the 1970s following the failure of a New Left government, and during the 70s and 80s it sought to highlight its cause by kidnapping and murdering prominent Italian politicians and other senior figures, including former Aldo Moro in 1978. Dozier was the first foreigner to be kidnapped by the group. 1983 (United Kingdom) - The Provisional Irish Republican Army (PIRA) detonated a bomb in a car parked outside Harrods Department Store, London, killing six people. Six people were killed, three passers-by and three Metropolitan Police officers. The bomb contained between 25 and 30 pounds of explosives, and it was detonated by a timing device. 1999 (Sri Lanka) – Tamil Tigers (LTTE) launched simultaneous suicide bomber attacks at a Presidential re-election rally, where 23 persons were killed and 100 (including the President) wounded, and at an opposition party rally where 11 persons were killed. 1998 (Philippines) – The leader of the Abu Sayyaf Group, Abdurajak Abubaker Janjalani, was killed in a gunfight with police on Basilan Island. 1973 (Spain) - Luis Carrero Blanco, a Spanish Navy Admiral and statesman who briefly served as Prime Minister and was thought to be the likely successor to Francisco Franco, was assassinated by the Basque ETA. His death may have facilitated Spain's later transition to democracy, since Franco died without an ideologically similar successor. The ETA assassinated Blanco six months after he was named Prime Minister, ambushing him in Madrid as he returned from mass, according to his customary daily schedule. It was a well-prepared operation, employing about 200 pounds of explosives placed in a tunnel they had excavated under the street, and detonated underneath Blanco's armored limo. One of the ETA member who had assassinated Carrero Blanco was himself assassinated by a car bomb in the south of France on December 21, 1978, by a Spanish far right group organized from elements of the military and security services. 1986 (United Kingdom) – Pan Am Flight 103 was destroyed by a bomb over Lockerbie, Scotland, killing all 259 people on board and another 11 on the ground. Libyan agents were responsible. In the investigation subsequent to the crash, forensic experts determined that 340 to 450 grams (12 to 16 ounces) of plastic explosive had been detonated in the forward cargo hold, triggering a sequence of events that led to the rapid destruction of the aircraft. Although many non-U.S. citizens were among the victims, the attack was widely regarded as an assault on U.S. interests, and with 189 of the victims being Americans, it stood as the deadliest attack on American civilians until September 11th, 2001. Indictments for murder were issued in November of 1991 against a Libyan intelligence officer and the head of security for Libyan Arab Airlines (LAA), and the LAA station manager in Malta, where a rigged suitcase had been placed into the inter-airline baggage system. After United Nations sanctions were placed against Libya, Libyan leader Muammar Gaddafi handed over the accused to Scottish police on April 5, 1999. On January 31, 2001, the intelligence officer was convicted and sentenced to 27 years in prison; the station manager acquited. 1975 (Austria) – “Carlos the Jackal” kidnapped 11 OPEC ministers in Vienna. Three hostages were killed. 2000 (Israel / West Bank) – A suicide bomber at a restaurant in Mehola killed one person and wounded three. HAMAS was responsible. 2001 (Over the Atlantic Ocean) - American Airlines Flight 63 was en route from Paris to Miami when a passenger, Richard Colvin Reid, an Islamic fundamentalist from Great Britain, attempted but failed to ignite an explosive charge of over 100 grams that were hidden inside his shoes. 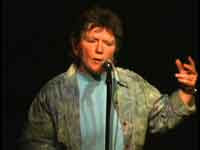 Reid was subsequently convicted on charges of terrorism and is currently serving a life sentence in the United States. 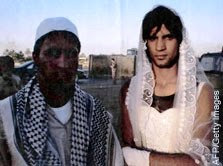 According to press reports, an al-Qaeda operative, Mohammed Mansour Jabarah, who was captured and interrogated in Oman in 2003, has stated that Reid was also a member of al-Qaeda and had been sent on the bombing mission by Khaled Shaikh Mohammed, a leader member of the organization. "Eight spent and twisted rocket casings constituted the Hanukkah structure, crafted by local activists with a political as well as a religious point to prove." It's a clever photo opportunity, however, the political and security problem in Sderot appears to be insolvable. The Palestinians certainly won't stop firing Qassam rockets, the Israeli government won't go back into Gaza and create a security buffer zone, and the Egyptians won't take effective action to stop the smuggling of explosives from its territory into Gaza. Monitors from the European Union just stand by and watch, and the UN [or, as I call them, the Bureaucrats Without Borders] won't even do that much. Provided the Palestinians don't escalate to longer-range and more potent rockets, which could trigger a serious Israeli retaliation, this looks like the kind of low-intensity conflict that can go on for generations, like Cyprus. Here's my summary of significant past events for this week. One of those events was the death of the Brazilian revolutionary Carlos Marighella in 1969. Marighella was an ideological and tactical innovator among modern left-wing revolutionary movements, if not an entirely original thinker. He had visited China in the early 1950s, where he evidently absorbed the lessons of People's War taught by Chairman Mao, and applied them when he returned to Brazil and, in 1962, formed a China-line communist party faction. The driving force in Brazilian politics at the time was the military coup - which the military called a revolution - that had taken control of the nation in 1964. Marighella formed an underground revolutionary group called the Alianca Libertadora Nacional, or Ação Libertadora Nacional (ALN), in 1968, borrowing the group's name from a revolutionary organization that had existed briefly in Brazil in the 1930s to fight the dictator of the time, Getulio Vargas. The ALN had a peak strength of only 200 members, and its main focus was in Brazil's two biggest cities, Rio de Janeiro and Sao Paulo. [See a brief history of the group at the Terrorism Knowledge Base here.] Since Brazil was as urban-proletariat a nation as Mao's China was rural-peasant, Marighella's focus on the cities was an intelligent adaptation of Mao's dictum about the guerrillas being like fish hiding in the sea of the people. In this, Marighella showed much more sense than his fellow Latino lefty revolutionary Che Guevara, who had died in 1967 while foolishly trying to instigate revolution among the decidedly uncooperative peasants of Bolivia. 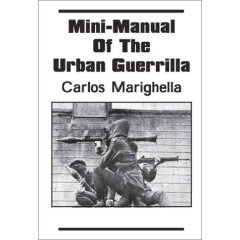 The following year, 1969, Marighella published his most famous work, the Mini-Manual of the Urban Guerrilla, which promoted his concept of cities as the ideal focus for guerrilla war. The manual become an instant classic, filled with revo-romance, and packed with handy hints for underground organizers. Samizdat copies quickly spread, and the Mini-Manual had a strong influence on groups like Italy's Red Brigades, the Provisional Irish Republican Army, and Germany's Bader-Meinhof / Red Brigades. Today, the Mini-Manual is more a period-piece of 1960s radical literature than a serious revolutionary treatise. The capitalists at Amazon.com will sell you a copy [here] for just 6 Yankee dollars, but if you would like to read it without supporting corporate oppressors, the good commies at Marxists.org will let you read it [here] free of charge. 1999 (United States) – The United Nations adopted the International Convention for the Suppression of Financing Terrorism. 2004 (Brazil) – A tombstone was laid in Salvador de Bahia to commemorate the 35th anniversary of the death of the Marxist writer and revolutionary Carlos Marighella. Marighella's primary contribution to revolutionary literature was the Mini-Manual ofthe Urban Guerrilla, a book which greatly influenced modern left-wing guerilla and terrorist movements. In contrast to Che Guevara’s focus on building revolutionary activity in rural villages, Marighela's theories promoted cities as the focus for revolution. 1964 (United States) – An anti-Castro Cuban exile fired a recoilless rifle at the UN General Assembly building during a speech by Che Guevara. The attacker, Guillermo Nova, fired from the Long Island side of the East River waterfront at the time when Guevara was scheduled to speak, but the shell landed harmlessly in the East River about 200 yards short of the UN Secretariat building, since the rifle had been angled incorrectly. Anti-Castro Cuban refugee Guillermo Novo has been suspected of involvement in several acts terrorism, along with fellow refugees Orlando Bosch and Luis Posada. Novo was found guilty of conspiracy to assassinate Orlando Letelier, the former Chilean Foreign Minister, in 1976, but he obtained a retrial in 1981 and was acquitted on a technicality. 1997 (Egypt) – Security Forces killed Abd al-Hafiz, the Egyptian Islamic Jihad leader responsible for the Luxor attack. 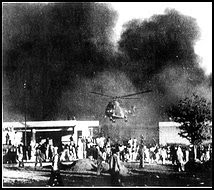 1983 (Kuwait) – The U.S. and French embassies are partially destroyed by truck bombs, killing six persons and injuring 80. The attacks were only two in a series whose other targets included the control tower at the airport, the country's main oil refinery, and a residential area for employees of the American corporation Raytheon. The bombers were thought to be members of Al Dawa, or "The Call," an Iranian-backed group and one of the principal Shiite groups operating against Saddam Hussein in Iraq. The Kuwaiti authorities convicted 17 people for participating in the attacks. Over the following years, the release of the "Kuwait 17" was one of the most consistent demands of the kidnappers of Western hostages in Lebanon. Ironically, when Iraq invaded Kuwait in 1990, the Iraqis unwittingly released the Kuwait 17. One of them, Jamal Jafaar Mohammed, is today a Member of Parliament in Iraq and part of PM Nuri al-Maliki’s ruling coalition. 1969 (Italy) – A neo-Fascist group carried out a series of bombings in Milan and Rome, killing 16 persons and wounding 58. Two bombs were planted in Milan, one inside the National Agricultural Bank in Piazza Fontana, and the second near the La Scala Opera House. The bombs in Rome were planted at another bank and at a memorial. The bombings marked the launch of the “strategy of tension” declared by the right-wing Ordine Nuovo group, which lasted until 1974. Police arrested over 4,000 persons in the aftermath of the bombings, but only three were eventually convicted; one more fell to his death from the window of a police station. 2001 (India) – A group of Kashmiri militants used a fake vehicle sticker to get through perimeter security at the parliament building in New Delhi, and launched an attack with small arms and a suicide bomb belt that killed 12 and injured 22 persons. None of the members of parliament in the building at the time were harmed. An hour-long standoff and gun battle ensued between the attackers and police, carried live on Indian television, before the last of the gunmen were killed. Three Kashmiris suspected of helping to plan the attack were convicted and sentenced to death in 2002, but the High Court overturned the conviction of one of them, Sar Geelani, a college professor. The execution of the remaining two has been delayed pending appeals. 1987 (Lebanon) – HAMAS, the Islamic Resistance Movement, was founded by Shaykh Ahmed Yassin. Born in 1938 in what was then Palestine under the British mandate, Sheikh Yassin suffered a childhood accident that left him a quadriplegic. He devoted his early life to Islamic scholarship and studied at al-Azhar University in Cairo, the birthplace of the Muslim Brotherhood. In retaliation for the many acts of terrorism committed by HAMAS again Israelis, Shaykh Yassin was assassinated by Israeli forces in March, 2004, targeted with a helicopter-fired missile as he left a Mosque. Another of those rare days that, so far, are free of significant terrorist activity. Before dropping the topic of World War II (for now), I have a final observation about the America of 1941, and why Americans fought not simply to push the Japanese Empire back to its home islands, or force it to a negotiated settlement, but to destroy it utterly. Victor Davis Hanson's great history, Carnage and Culture: Landmark Battles in the Rise of Western Power, explains something about the American public's response to Pearl Harbor that is really quite remarkable, but generally goes unnoticed. Just as with the other key episodes throughout Western Civilization that Hanson relates, in December of 1941 a free democratic citizenry, and the government and military it held accountable, resolved to mobilize the entire society, to put aside every other concern, and end forever the threat raised against it by a tyrannical enemy. Read Hanson's first chapter, Why the West Has Won, for a much better explanation than can be done in a blog post. But, briefly, the World War II generation of Americans was in the same position as the free Greek citizens of 480 BC, who conclusively defeated the forces of the Persian God-King Xerxes at the Battle of Salamis. Neither the ancient Greek nor the modern American polity would tolerate an ongoing threat to its free existence, and neither would have tolerated a government that proposed to merely make an accommodation with the foreign threat. Instead, they would leave their homes and farms and make every sacrifice necessary to end that threat for all time, after which they would resume normal life. "The people of the United States have already formed their opinions and well understand the implications to the very life and safety of our nation ... I believe that I interpret the will of the Congress and of the people when I assert that we will not only defend ourselves to the uttermost but will make it very certain that this form of treachery shall never again endanger us." The will of the people was that we should "not only defend ourselves to the uttermost" but do much more. The democratic nature of American society did not permit FDR the option of anything less than total war. At the insistence of the American public, the war would not be over until either the Japanese Empire or the American Republic no longer existed. "Even their names seem almost caricatures of an earlier stalwart American manhood - Max Leslie, Lem Massey, Wade McCluskey and Jack Waldron - doomed fighters who were not all young eighteen-year-old conscripts but often married men with children, enthusiastic rather than merely willing to fly their decrepit planes into a fiery end above the Japanese fleet, in a few seconds to orphan their families if need be to defend all that they held dear. One wonders if an America of suburban, video-playing, Nicoles, Ashleys and Jasons shall ever see their like again." FDR: "But always will our whole nation remember the character of the onslaught against us." You can read and listen to FDR's "Day of Infamy" speech to the U.S. Congress on December 8, 1941: here. Back when I was in High School they would play this speech over the intercom system on Pearl Harbor Day. Today, disgracefully, this key event of U.S. history is ignored by our overly sensitive, Oprah-ified, society. None of my local school systems in Northern Virginia have any formal observance of Pearl Harbor Day, to the best of my knowledge. The mind boggles to imagine a High School teacher playing this speech today, at least not without giving equal time to the Empire of Japan. Nevertheless, my experience with my own kids and their friends, tells me the younger generation loves to learn about World War II. So, send that link along to any Gen X-ers you know; they have never heard a U.S. President asking Congress for a declaration of war, or using language of such dignified restrained anger: "No matter how long it may take us to overcome this premeditated invasion, the American people in their righteous might will win through to absolute victory. " Today is National Pearl Harbor Remembrance Day, 2007. Here's a link to the official proclamation from the White House: A Proclamation by the President of the United States of America. The USS Arizona is the final resting place for many of the ship's 1,177 crewmen who lost their lives on December 7, 1941. 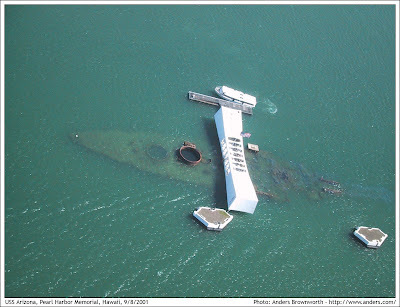 For info on the USS Arizona Memorial, see this U.S. National Park Service link. Today's Washington Post has a story [here] about a new memorandum of understanding between State and Defense that will improve interagency coordination on State's protective detail movements in Iraq. The Washington Times has slightly more detailed coverage [here]. And, of course, the State Department spokesman discussed the agreement at yesterday's press conference. The agreement, which has not been published, places a military official for the first time in the tactical operations center of the embassy's security office, according to Deputy Secretary of State John D. Negroponte. The military will receive "prior notification" of all diplomatic convoy movements and will give commanders in the field the option of stopping them, he said. " The commanders "are in charge of the battle space," Negroponte said in a recent interview. "If they say don't go there, we won't go there." Although diplomatic movement information was shared with the military in the past, "it was harder to get and it wasn't as well distributed as it is now. We were sending over plans of these movements to the [military] headquarters . . . but it wasn't getting to the different elements" in the field, he said. And here's my bureaucratic interpretation of the above: the fact that Ambassador Negroponte himself - State's #2 official - is discussing something that should be a mere administrative matter, is a big indicator of how important the security contractor issue has become. Also, I'm wondering why there has been no quote from a spokesman for General Petraeus. Possibly Amb. Negroponte was putting a positive media spin on an agreement that Defense is not 100% happy with? Here's my summary of significant past events for this week. One event particularly stands out: the 1984 hijacking of a Kuwaiti airliner by Iraqi Shia militants, followed by a six-day hostage standoff at the airport in Tehran, Iran, and the murder of two employees of the U.S. Agency for International Development (USAID). Iranian authorities eventually stormed the plane and seized the hijackers, but released them soon afterwards. The incident was horrific enough in its own right [see the details here], however, it was only one in a series of closely related Middle Eastern terrorist events that occurred in the 1980s, and which have a strange after-life that is still playing itself out in contemporary Iraqi politics. The hijackers of Kuwait Air Flight 221 were from an Iraqi Shia militant group connected to Iraq's Islamic Dawa Party, which at that time was fighting the Saddam Hussein / Ba'ath Party regime from exile in Iran. In 1983, militants connected to the Dawa Party had carried out the suicide bombings of the U.S. and French embassies and other targets in Kuwait, and Kuwait had imprisoned 17 persons - 12 of them from the Dawa Party - for involvement in those bombings. Flight 221 was hijacked in an attempt to force Kuwait to release those prisoners. Kuwait refused, however, the "Kuwait 17" were inadvertently freed in 1990, along with about 1,300 other prisoners from Kuwait's Saidia prison, amid the chaos of the Iraqi invasion of Kuwait. The official position of the Islamic Dawa Party is to deny involvement in the Kuwait attacks. See the FAQ "Does the party agree with using force for political ends? What is its position on and involvement in terrorism? Did it have any role in the Kuwait and Lebanon bombings of the 1980s?" on the Party's website for details. But that denial is carefully parsed, and amounts to saying that the Party never condoned terrorism (translation: violence against Saddam's regime was not terrorism but "armed resistance"), and that it had no direct role in the Kuwait attacks (translation: the Kuwait attacks were not carried out by Dawa per se but by an umbrella group of Iraqi Shia which included Dawa members). That denial noted, the Islamic Dawa Party was nonetheless tied to the Kuwait bombings by forensic evidence when the remains of a human thumb were found at one of the bombing scenes and its thumbprint identified as that of Raad Murtin Ajeel, a 25-year old Iraqi Shia and member of Dawa. What's more, a Dawa politician, Jamal Jafaar Mohammed, who was elected to the Iraqi parliament in 2005 and is today part of Prime Minister al-Maliki's ruling coalition, was sentenced to death in absentia by Kuwait in 1983 for his role in the bombings. According to press reports [such as this one], Jamal Jafaar Mohammed is the real name of the "Abu Mahdi al-Muhandis" who was a leader of the bombing plot. You've got to wonder what the Kuwaitis think of this strange turn of events. From 1983 onwards, the U.S. government pursued those who plotted the bombing of the U.S. embassy in Kuwait City. Today, we collectively avert our eyes from one of the ringleaders in that attack on ourselves and our Kuwaiti ally because it would be politically awkward to notice him. 1983 (Spain) – Basque Iraultza (meaning Revolution in the Basque language), a small militant group of Trotskyist ideology, placed bombs at eight U.S.-interest targets in Spanish Basque territory to protest U.S. involvement in Central America. Before it dissolved in the 1990s, the Iraultza movement was notable for being perhaps the only one of its kind not to have killed anyone in its attacks (except two of its own members, who died preparing an explosive device in the early 1990s), but to have restricted itself to damaging property. 1984 (Iran) – Four Iraqi Shia militants hijacked a Kuwait Airlines flight shortly after it departed Dubai en route to Karachi, and forced it to land at Mehrabad airport in Iran. They demanded the release from Kuwaiti jails of members of Dawa, an Iraqi Shiite extremist group, who were serving sentences for attacks on U.S. and French targets. A standoff ensued for the next six days, with the hijackers keeping selected U.S. and Kuwaiti passengers on board and tied to seats, before an Iranian assault team posing as cleaners stormed the plane. Three USAID officers were among the passengers and two of them, Charles Henga and William Stanford, were killed by the hijackers to press their demands. Iranian authorities promised to try the hijackers, but instead released them. In January, 2002, a U.S. federal judge ordered Iran to pay $42 million to the family of Charles Hegna. 2000 (Israel) – A senior leader of the armed wing of HAMAS, Awad Selmi, was killed when a bomb he was planting exploded prematurely during an operation inside Israel. Palestinian police found the body parts of Selmi near the Karni crossing in Gaza, a major flashpoint for Israeli-Palestinian conflicts. A crowd of about 30,000 marched in Selmi's funeral procession. HAMAS reported that Selmi had carried out 17 attacks, including the killing of an Israeli colonel in 1993. Israel was to blame for his death, a HAMAS spokesman said at the funeral, because Israel was responsible for all violence in the region. 2000 (Jordan) – The State Security Court of Jordan sentenced Jordanian-American Raed Hijazi to death for the third time on charges of “plotting subversive acts in the Kingdom and manufacturing explosives.” The same court sentenced Hijazi to death in February 2002 for the first time after finding him guilty of the same charges. Re-sentenced to death in January 2003 on the same charges, Hijazi appealed again and a third trial was ordered, citing lack of evidence. Hijazi was also sentenced to death in a separate high-profile trial held in September 2000, in which he was tried in absentia along with 28 suspects accused of planning to bomb Christian, Jewish and US targets in Jordan. Hijazi had previously lived in the United States, where he was employed as a taxi driver in Boston, Massachucetts. 2000 (Sri Lanka) – A Tamil Tiger (LTTE) land mine attack killed four bus passengers and wounded 21. 2000 (Yeman) – U.S. authorities named Muhamed al-Harazi as a prime suspect in the bombing of the USS Cole. Allegedly the head of al-Qaeda operations in the Persian Gulf, al-Harazi was one of the "Afghan Arabs" who fought against the Soviet Union in Afghanistan in the 1980s. He is also believed to have played a role in a foiled plot in 2002 to bomb U.S. and British warships in the Strait of Gibraltar, the attack on the French oil tanker Limburg in 2002, and the August 1998 bombings of the U.S. embassies in Kenya and Tanzania. In November, 2002, U.S. Homeland Security Director Tom Ridge confirmed long-standing news media reports of al-Harazi’s capture by the U.S., and stated that “the prisoner was providing useful information.” U.S. officials later confirmed that al-Harazi (also known as al-Nashiri) was held briefly in Afghanistan before being transferred to an undisclosed secure location. The 9/11 Commission stated that evidence of Osama bin Laden’s involvement in the Cole bombing came from the interrogation of al-Harazi, among other prisoners. Muhamed al-Harazi is now in U.S. custody at Guantanamo. Latest Twist in the Blackwater Saga: Immunity for the Shooters? There seem to be two competing versions of today's story about Blackwater and the "immunity" its employees received for the September shooting incident in Baghdad. In one version, the bumbling State Department stupidly granted immunity to the Blackwater cowboys and now because of that screw-up those mercenaries might escape justice for their crimes. In the other version, those Machiavellian passive-aggressives at the State Department deliberately sabotaged the FBI's investigation in order to protect their Blackwater henchman while maintaining deniability. Critics and commentators were having so much fun that almost no one noticed that no immunity from prosecution had, in fact, been granted. See the New York Times story here: "A Justice Department spokesman, Dean Boyd, said in a statement that Blackwater employees could be prosecuted despite the immunity deals, which were not authorized by federal prosecutors. He said that neither the Justice Department nor the F.B.I. could discuss the case, but said "any suggestion that the Blackwater employees in question have been given immunity from federal criminal prosecution is inaccurate." What the Blackwater operators received from Diplomatic Security officials in Baghdad was a so-called "Garrity" statement, a common practice in internal police or security investigations when an employee is mandated to make a statement in connection with an on-the-job incident. Since the employee is compelled to make the statement on pain of being fired, it can't be used against him later without violating his Constitutional right against self incrimination, as recognized in the Garrity vs. New Jersey court decision, among others. "On ___________(date) ___________(time) at _____________(place) I was ordered to submit this report (give this statement) by _____________________(name & rank). I submit this report (give this statement) at his order as a condition of my employment. In view of possible job forfeiture, I have no alternative but to abide by this order." "It is my belief and understanding that the department requires this report (statement) solely and exclusively for internal purposes and will not release it to any other agency. It is my further belief that this report (statement) will not and cannot be used against me in any subsequent proceedings. I authorize release of this report to my attorney or designated union representative." "I retain the right to amend or change this statement upon reflection to correct any unintended mistake without subjecting myself to a charge of untruthfulness." "For any and all other purposes, I hereby reserve my constitutional right to remain silent under the FIFTH and FOURTEENTH AMENDMENTS to the UNITED STATES CONSTITUTION and any other rights PRESCRIBED by law. Further, I rely specifically upon the protection afforded me under the doctrines set forth in Garrity v. New Jersey, 385 U.S. 493 (1967), and Spevack v. Klien, 385 U.S. 551 (1956), should this report (statement) be used for any other purpose of whatsoever kind or description." My guess is that prosecution will not be possible, but that will be due to a lack of evidence, principally a lack of witnesses who can be brought to the U.S. and cross-examined in court. The "Garrity" statements will have nothing to do with it. Nonetheless, State and Diplomatic Security will get a certain amount of unfair blame.